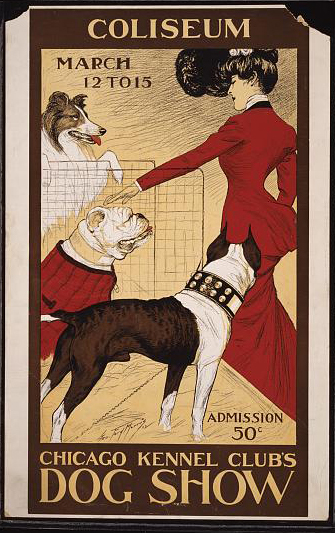 Medium: 1 print (poster) : lithograph, color ; 213 x 101 cm. Summary: Includes musical scale with text: Oh! that dainty silken stock----ing. 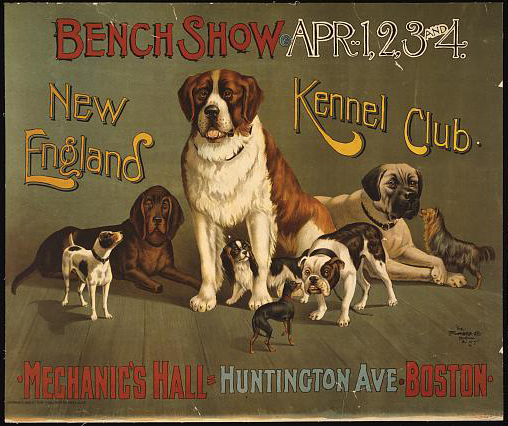 Created and "copyright 1899 by The Strobridge Litho Co, Cincinnati & New York." 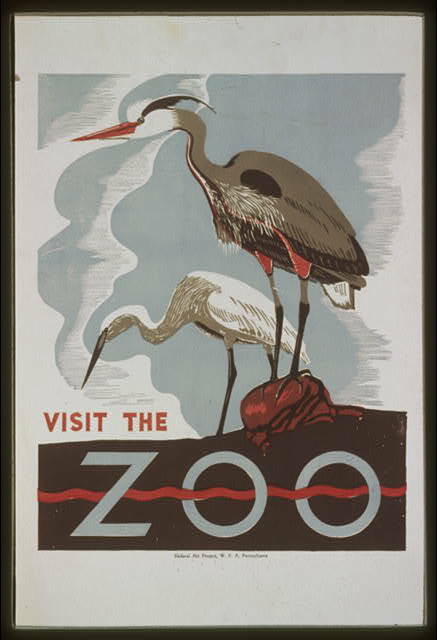 Medium: 1 print (poster) : lithograph, color ; 62 x 46 cm. 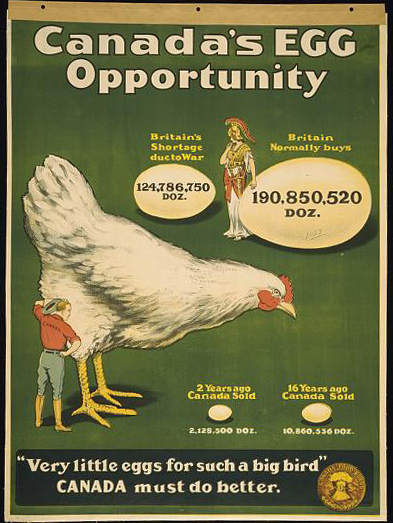 Summary: Poster shows a large chicken, two figures representing Great Britain and Canada, and four eggs, representing egg production in Canada and sales to Britain. Text continues: Very little eggs for such a big bird. Canada must do better. Rights Advisory: No known restrictions on publication. 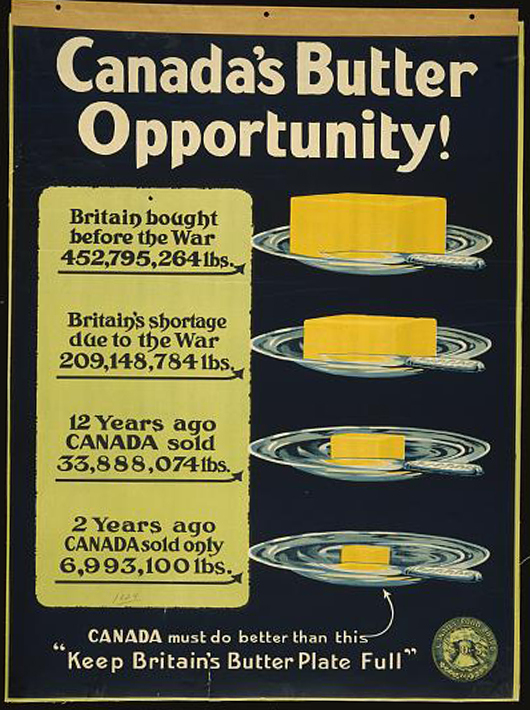 For information see "World War I Posters,"
Summary: Poster shows four plates of butter, representing the amount of butter Canada sold to Great Britain before the war, the shortage of butter in Britain due to the war, and how much butter Canada has sold twelve years ago and the amount sold two years ago. Text below: Canada must do better than this. "Keep Britain's Butter Plate Full." Title: Canada's pork opportunity / E. Henderson. 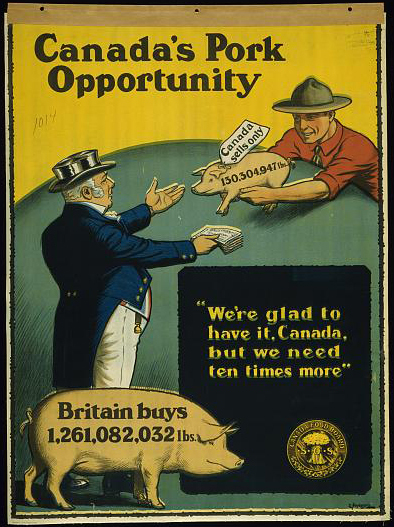 Summary: Poster shows two figures representing Great Britain and Canada exchanging money for a pig. A large hog indicates how many pounds of pork Britain buys and the smaller pig represents how much Canada sells. Text continues: We're glad to have it, Canada, but we need ten times more. 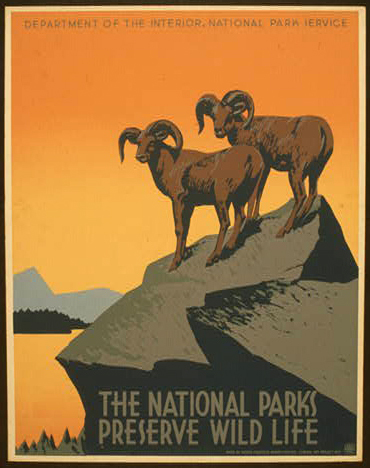 Medium: 1 print (poster) : lithograph, color ; 61 x 46 cm. 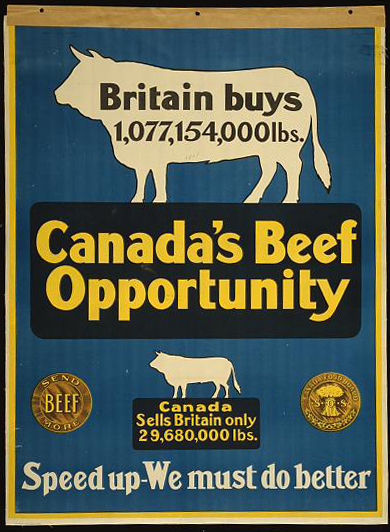 Summary: Poster shows figures of steers with beef statistics indicating how much beef Britain buys and how much Canada sells to Britain. Text continues: Speed up. We must do better. Date Created/Published: Cin[cinna]ti & New York : The Strobridge Lith. Co., c1898. 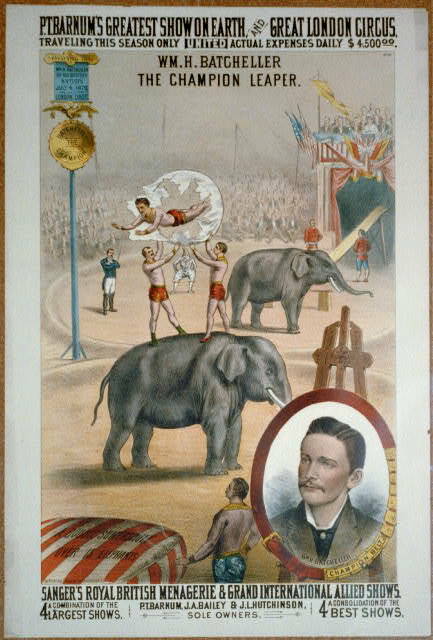 Medium: 1 print (poster) : chromolithograph ; 76 x 50 cm. 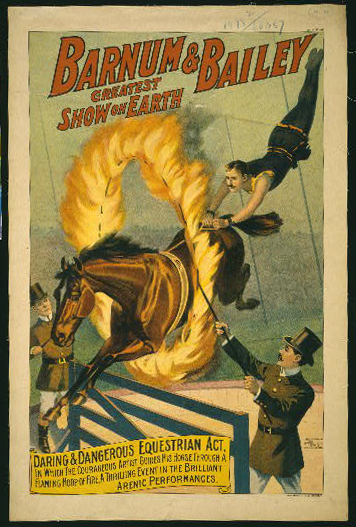 Summary: Poster showing a horse leaping through a flaming hoop. 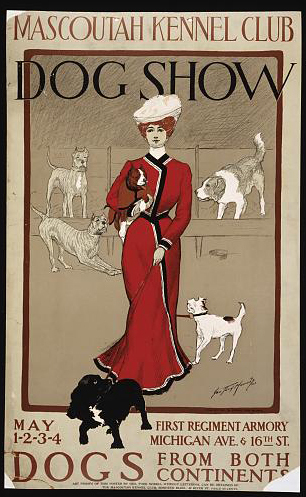 Medium: 1 print (poster) : chromolithograph ; 76 x 49 cm. 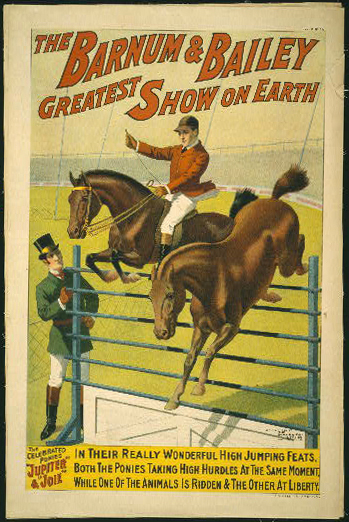 Summary: Poster showing two ponies, one with rider, jumping over an obstacle. 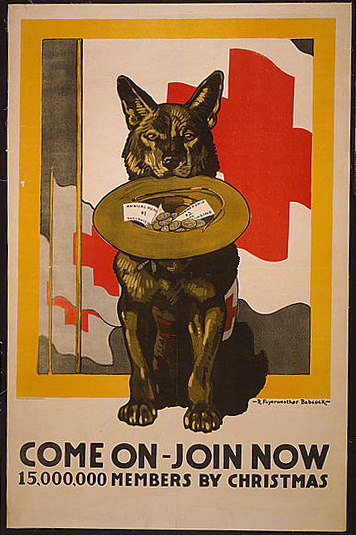 Title: Treat 'em rough - Join the tanks United States Tank Corps / / Ahgiet Hutaf ; National Printing & Engraving Co., Chicago, New York, St. Louis. 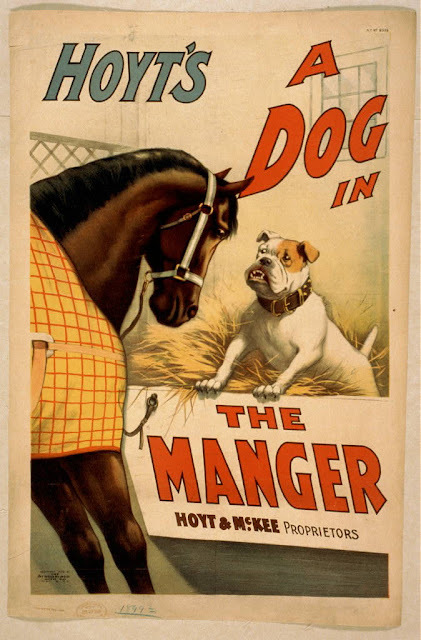 Medium: 1 print (poster) : lithograph, color ; 104 x 70 cm. 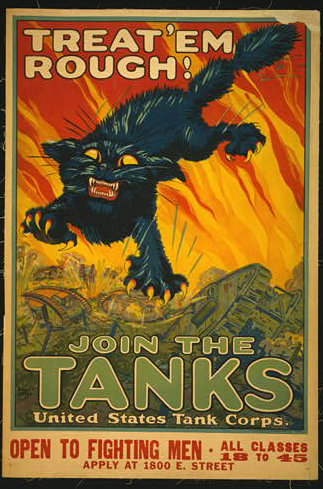 Summary: Poster showing a black cat with prominent fangs and claws leaping above a battlefield with tanks. Open to fighting men - all classes 18 to 45. Apply at 1800 E. Street.